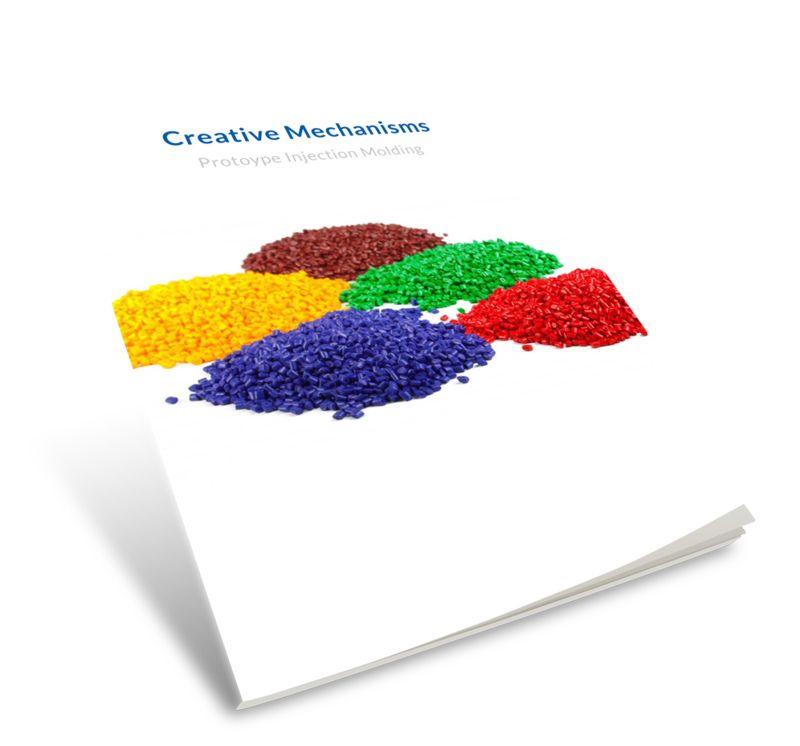 At Creative Mechanisms, we interpret injection molded prototypes as several hundred to a thousand product pieces created from a single cavity, low cost mold. These prototypes are made with the same manufacturing processes as the finished products from mass production but there are some significant differences in the mold itself and the processing of the parts. Because of those differences, the pricing of injection molded prototypes is often quite different from the pricing for mass production. This free eBook will go deeper into the process of prototype injection molding and explain its many steps. Enjoy!